Consider this an early Wordless Wednesday but it was just too good to pass up! 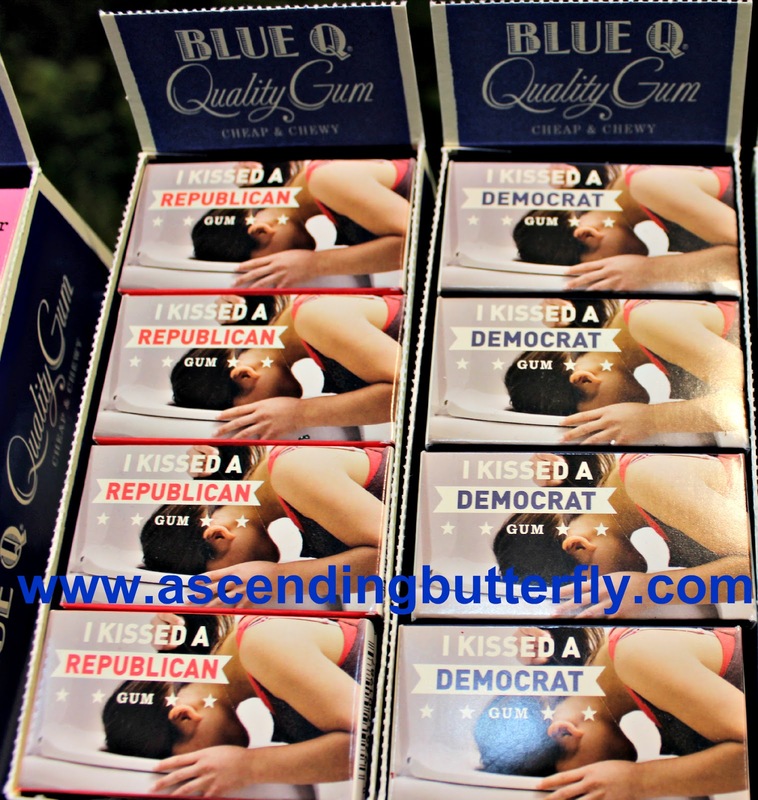 So, did you kiss a Democrat or a Republican today? Make sure you rock the vote + if you can add kissing to the mix all the better right? FTC Disclosure: This is NOT a Compensated or sponsored Post, (while perhaps it should be) I took a picture of these at the NYNOW Market Tradeshow, I did NOT get a sample of them, haven't tasted them. All thoughts and opinions are my own. I am disclosing this in accordance with the Federal Trade Commission 16 CFR, Part 255 - Guides Concerning the use of endorsements and testimonials in advertising, you may check our Giveaway and Disclosure Page for additional information regarding Ascending Butterfly Disclosure. Things that lure Ascending Butterfly out of her butterfly cave: Electronics/Technology, Fashion, Jewelry, Appliances, Bubbly/Spirits, Foodie/Restaurants and Travel. And remember Ascending Butterfly does NOT have children, please do not pitch her toys. That's hilarious. AND genius, by the way. Anything that can encourage voting is key in my book. I did my civic duty and voted this morning. I prefer not to disclose my answer simply because I don't care for political drama. Although I do not live in the United States, I am still following your presidential elections. I am anxious to find out who the next US President would be. So many ways to make a buck these days...lol. I'm voting after work. Hopefully, the lines won't be too long and people will be kind. I'm tired of all the nasty comments from both sides. This is cute. I voted and I kissed a republican today. I didn't kiss anyone today! But I did get out and vote! What a cute idea!! I'm in Canada so we are all living via you!! Kids on! Lol at this gum! I haven't seen this before and it gave me a needed laugh. Funny and cute! I didn't kiss anyone today. I voted. This gum is hilarious! I've never seen or heard of it before but definitely some comedic relief is what is needed on a day like today. I love this. I am Canadian but I have been watching the election. I am anxious to see who wins. WOW! First time seeing the gum... I voted today. We could definitely use some humor right about now. And I definitely kissed a Democrat today! This is a great idea to encourage people to vote! 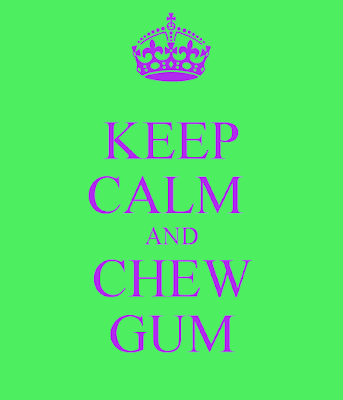 And an awesome marketing strategy for these gums! These look like some interesting gums. 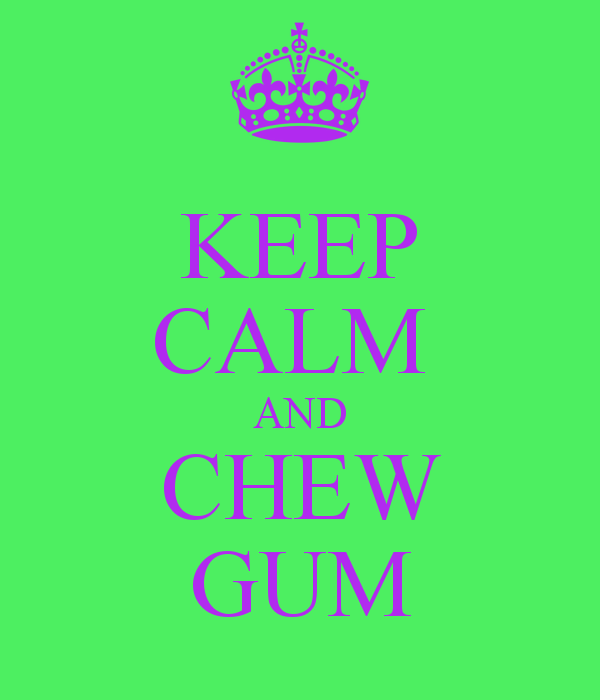 I am a gum chewer. That is pretty funny lol. I did get out and vote, actually for the first time ever. I prefer not to disclose who I voted for, but I am proud to be an American! This is a funny idea! You really need to keep a sense of humor during serious times, I believe that shows the true character in people. That gum is too silly. What a crazy 24 hours it has been. Glad to see high voter turn out but it was certainly a little heated today. This is so cute! They have a nice candy store in our area with funny mints and gum like this. Hey as long as it encourage voting. The poll is out...and I have no comment. I'm so over politics and the election. I'd definitely leave these in the store. It's funny what people come up with on different events. This is quite hilarious! Yes I beleive that kissing can be that magical that it can bring someone back to life. Sometimes, life gets away from us, all it may take is that one kiss to remind us who we are.